LONDON, England, October 16, 2017 (LifeSiteNews ) — UK scientists are experimenting on seven-day old humans to learn how to “edit” DNA before killing them and discarding them. A team from the Francis Crick Institute is using “excess” living human embryos for their experiments who were frozen for in-vitro fertilization (IVF). They then “edit” the human DNA by taking out a vital gene from “healthy, normal” embryos. Breakthroughs in manipulating DNA have allowed the team at the Crick to turn off a gene – a genetic instruction – suspected to be of vital importance. The easiest way of working out how something works is to remove it and see what happens. So the researchers used the gene-editing tool Crispr-Cas9 to scour the billions of letters of genetic code, find their genetic target and break the DNA to effectively disable it. They were targeting a gene. You are unlikely to have heard of it, but OCT4 is a superstar in early embryo development. Its complete role is not understood but it acts like an army general issuing commands to keep development on track. The researchers used 41 embryos that had been donated by couples who no longer needed them for IVF. After performing the genetic modification, the team could watch how the embryos developed without OCT4…But without OCT4 the blastocyst cannot form. It tries – but implodes in on itself. From the embryo’s perspective it is a disaster but for scientists it has given unprecedented insight. Pro-lifers oppose destructive human embryonic experimentation because it’s a human life that’s being destroyed at his or her earliest beginning. “If unborn persons are living beings, they have dignity and worth, and they deserve protection under the law from harm and destruction. If, however, unborn persons are a piece of property, then they can be destroyed with the consent of their owner,” he said. Christians have always affirmed that men and woman are created in the image of God from the very first moment of their existence. 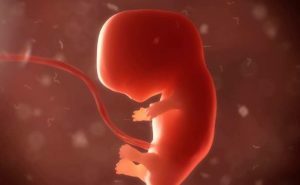 Since the embryo is a living human being and not just a clump of cells, experimentation involves the willful taking of human life and can only be judged as morally and ethically wrong in every instance. At no point is one person, no matter what size or what state of development — be they zygote, preborn, infant, toddler, child, teen, adult, senior — of less value or less of a person than another human being. One’s degree of biological development is irrelevant to the fact that a new being comes into existence when sperm meets egg, a person who must be valued and respected as a member of the human family who is a bearer of God’s image. The embryonic DNA manipulation performed by the UK scientists deliberately targets and kills human beings. Experimenting on people and then killing them, even with the good intention of using the knowledge gained to help others, is simply wrong. No matter what good follows from it, it is always evil to directly murder someone. The world was horrified when it learned about the horrors of Nazi experiments on those in concentration/death camps. With equal fervor, anyone who stands for human rights and justice ought to be equally horrified with human embryonic destructive experimentation. Human embryos are people. Experimenting on them is morally equivalent to experimenting on any other human, like you or me. In other words, the end does not justify the means. “Common sense tells us that no one has the right to kill another human being, no matter how much good they claim will come from that act. Most people instinctively reject the notion that doctors are qualified to decide who should live and who should die ‘for the greater good.’ That is why doctors have for centuries taken an oath declaring their first duty not to harm, let alone kill, anyone in their care,” said family advocate Gary Bauer. The manipulation and destruction of human life at any stage have no humility, no reverence, no place for God. From the perspective of human rights and justice, the issue is clear: The lives of preborn children must be defended from the earliest, smallest, and most fragile stages of development. Killing innocent human life for experimentation, or for any other reason, must be opposed.